This blog post is all about free audio books, along with a few reviews of the latest audio books I have listened to during the last few month. You can choose to buy audio books via iTunes, Amazon or an audible subscription. I do not buy my audio books, I borrow my audio books from my local library using the Libby App. 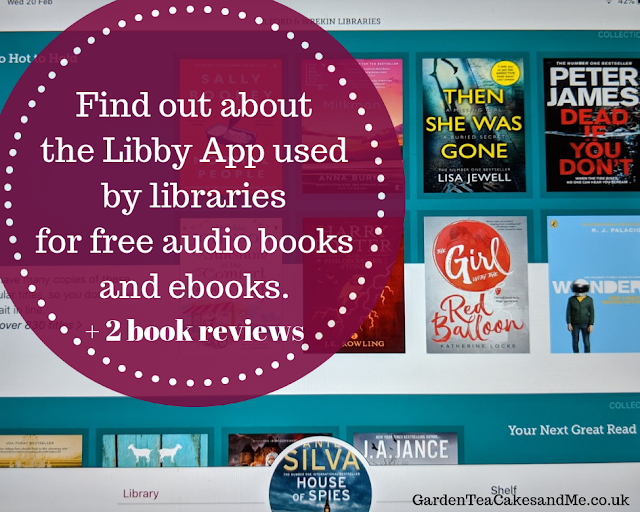 The Libby App is free to download and has a wide selection of both ebooks and audio books to loan. Check the library section of your local councils website, the app is available for both Android and Apple phones and tablets. You will need to be a member of your library as you need a library card to register the app. If a book is already on loan, one click and you are added to the reserve list. You can also see how many are in the queue for the book. You receive an email to notify you when the book is free and it is automatically checked out to you. Add books of interest to a virtual reading shelf, here they are not checked out to you but as a reminder. For ebooks, you can see statistics on how fast you are reading, and an estimate of when you will finish etc. Audio books you can even adjust the speed of the narrator. You can browse by genre, audio/ebooks, latest additions or author etc. You can use the app to request your library to buy new e/audio books for the app. My local library add new books at the beginning of each the month. 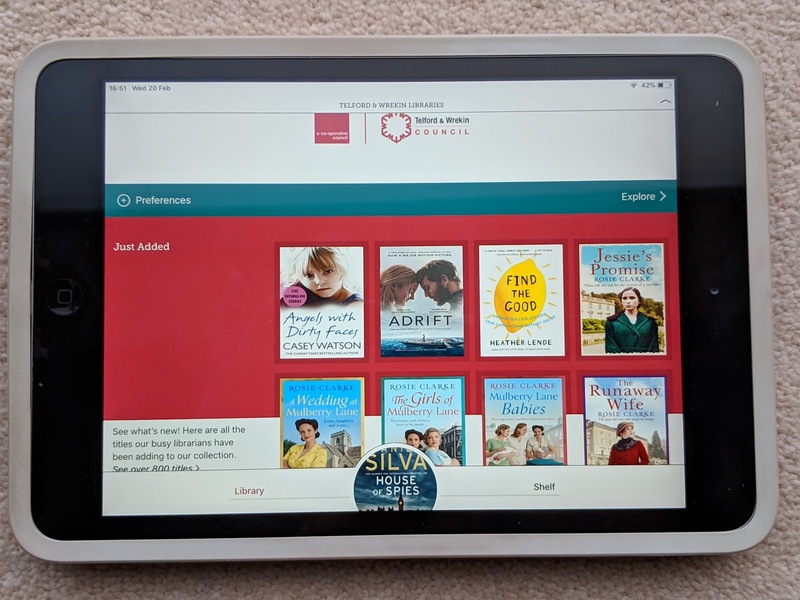 If you have the app downloaded on a tablet device, and also on your mobile phone it will automatically sync any books you are reading or listening too. So if you start listening to a book on your tablet at home, but decide to go for a walk as long as you have download the book to you phone app if will start at the place you last listened too. At certain times to celebrate the wonderful world of books! Libby have a book that has no limit on the number of people who can read it at one time, so as part of a read along everyone can download it if they wish, no waiting in a queue. There are plenty of other features on the app these are those I use the most. They are also open to feedback (use the form in the app) and welcome any new suggests for new features. If we want to keep our local libraries and access to free books, then we must keep using them. Libraries now offer so much more that just books, please make the effort and visit yours. I will never giveaway any spoilers in my reviews, just my honest opinion on how I found the book. So you can read my review with the confidence it will not ruin the story for you. Both books fall under the historical fiction genre, though they are separated not just by continents but many centuries too. Synopsis The stunning new novel from the bestselling author of Girl with a Pearl Earring. Honor Bright is a sheltered Quaker who has rarely ventured out of 1850s Dorset when she impulsively emigrates to America. Opposed to the slavery that defines and divides the country, she finds her principles tested to the limit when a runaway slave appears at the farm of her new family. In this tough, unsentimental place, where whisky bottles sit alongside quilts, Honor befriends two spirited women who will teach her how to turn ideas into actions. 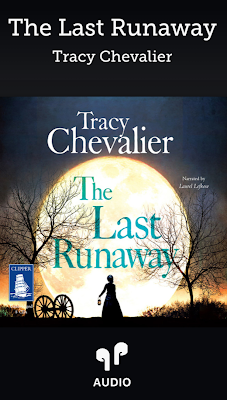 I've read a number of Tracy Chevalier novels and have enjoyed them immensely. I was particularly drawn to The Last Runaway as it involves the main character that enjoys sewing quilts, in fact its a theme that dominates many of the female characters free time. I enjoy crafting sewing and knitting are just a few, and I listened to this book whilst I was doing just that. The story follows Honor Bright a young English Quaker who leaves Dorset, England with her sister to start a new life in Ohio during 1850. On arrival she is reliant on the help of strangers, and finds it difficult to adjust to both America and Americans. All so very different from her life in in England. Chevalier writing immerses the reader into the sounds and smells of the burgeoning town where Honor lives. After a very difficult sea journey, Honor finds the help, shelter and employment from Belle and her milliners store, a character that features throughout the book. Honor finds and settles with a family of American Quakers the Haymakers, where she suddenly finds herself helping and supporting the runaway slave network in Ohio. Donovan is a slave hunter and brother to Belle, who are as different as chalk and cheese. Donovan encounters Honor earlier in her arrival to Ohio and there paths cross regularly. I was expecting there to be more to their encounters, I can't help but think the author missed an opportunity here. An interesting insight into the lives of the Quakers, I enjoyed the comparisons between British and American customs, food, buildings and even sewing. Not my favourite of Chevalier books but that maybe because I was so very fond of Girl with a Pearl Earring and Lady and the Unicorn, both set in Europe during one of my favourite times of history. Synopsis From Bernard Cornwell, the New York Times bestselling author whom the Washington Post calls "perhaps the greatest writer of historical adventure novels today,"At the onset of the tenth century, England is in turmoil. Alfred the Great is dead and Edward his son reigns as king. Wessex survives but peace cannot hold: the Danes in the north, led by Viking Cnut Longsword, stand ready to invade and will never rest until the emerald crown is theirs. Browsing the Libby app looking for an audio book that was available immediately, I was drawn to this book for two reasons. 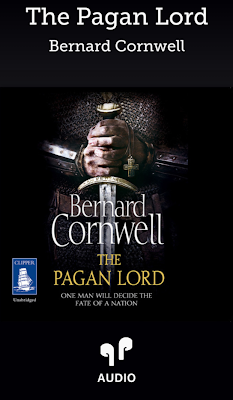 Bernard Cornwell an author I have never read but knew was popular and guaranteed a good book. The Last Kingdom and Uhtred I was familiar with, having watched the tv series on the BBC previously. 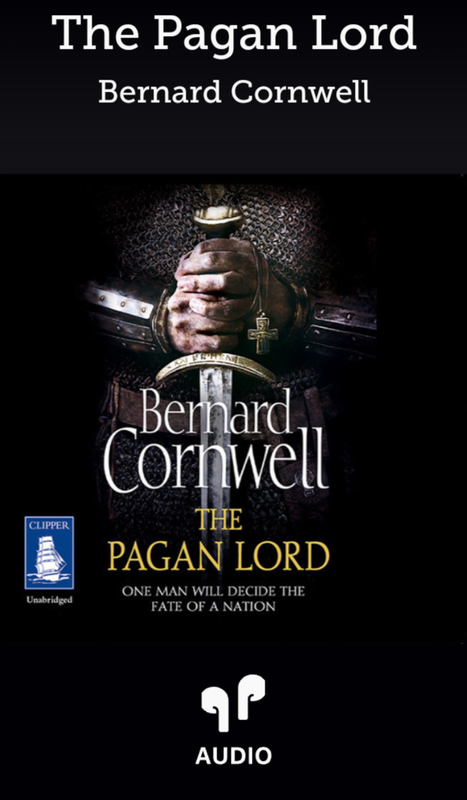 This book is set after this series, and is in fact a novel in a series by Bernard Cornwall, you would need to be familiar with Uhtred to truly appreciate this book. Cornwall really does immerse you into Uhtred's world, the basic language, the descriptions of the land and battles he finds himself in. You really can smell the stench of death, dirt and decay. For such a beast of a man you can not but like Uhtred. Though life should have been so much simpler in those days, if you got the most basic of tasks wrong or just be at the wrong place at the wrong time you would end up dead. A brutal read at times, but absolutely fascinating. 'I am Uhtred, son of Uhtred', yes get used to this for Uhtred says this an awful lot through the story. A 12 hour audio book, which half way through I did increase the speed of the reader to 1.25, something I've not done with other books. I felt the story was becoming a little repetitive. I am currently listening to House of Spies by Daniel Silva a spy thriller. I have also just received notification that Agatha Raisin and the Murderous Marriage by M. C. Beaton and read by Penelope Keith has been checked out to me. I have been in the queue for this book for sometime, after a friend had recommended this as an audio read. Oh and I nearly forgot I am off on a Reading Retreat for a few days, when I will have my nose permanently in a book stopping only for food, drink and the odd natter to my other fellow bibliophiles. You can keep up to date with my past and present reads by visiting my Goodreads page, see the link in the sidebar on the right hand side of your screen. Find out more about my Reading Challenge for 2019, I am making great progress. What do you think to the text size of this article? I have increased the font size, something I am considering changing on all my posts, as I think the font is too small. Would love some feedback please.